Depression & Anxiety: What If Medication Doesn't Work? In Depression, anxiety: What Worked for Me by Gayathri Ramprasad, she uses a personal perspective to discuss how she suffers with anxiety and depression. Ramprasad is candid in describing how debilitating anxiety and depression were for her. She discusses how having little to no success with medications, therapy, or even electroconvulsive therapy (ECT) as her severe symptoms resulted in hospitalization and failed suicide attempts. However, she held out hope that there was some alternative cure that could help her to find relief from the intense symptoms she was experiencing, and she focused upon discovering a form of anxiety treatment without medication. She discussed how medications seemed to worsen the symptoms, which can be a common thought among those suffering from depression and anxiety. Under medical supervision, she came off her medications in order to attempt a more holistic approach to managing her symptoms and to continue her efforts for wellness. 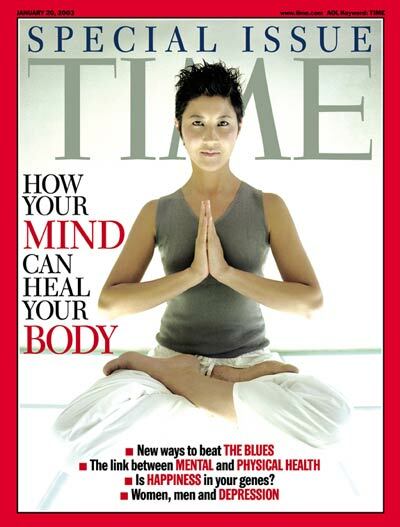 Ramprasad was encouraged to try transcendental meditation in order to approach her anxiety treatment without medication, and she describes her first attempt at meditation: “Ironically, it was an American teacher, Pat, who taught me this life-affirming practice that had originated in India, my country of birth. I still remember sitting cross-legged on a Persian carpet across from Pat, in the dining-room-turned-shrine in her home. While Pat sat still, Buddha-like, eyes closed, breath steady, body relaxed, face serene, my breath was erratic, my eyelids fluttered like the wings of a hummingbird, and my "monkey mind" ran amok.” She continued to explain that with time and practice she learned how to relax, focus on her breath, and to become calm and present. “There, I discovered an oasis of energy, creativity, and restful calm. In time, meditation offered me a sacred space to reflect on my life, and taught me to become an observer of my thoughts and emotions instead of getting entangled in them.” This is an insightful statement about how meditation can help regulate stress, depression and anxiety by distancing ourselves from our thoughts, which get in the way of experiencing the here and now. Specifically, this is a powerful approach to anxiety treatment without medication of any kind. She was given the suggestion to also use exercise to manage anxiety, depression and overall well being, so she signed up for exercise classes and addition to Yoga. Yoga helped her feel relaxed and rejuvenated in mind, body, and spirit, and it also helped to restore a sense of physical and mental energy. Ramprasad was hesitant to try traditional counseling, but she was willing to continue her journey of finding the best way to manage her depression and anxiety without medication. Cognitive behavioral therapy looks at how our thinking, feeling and actions correspond to each other. If you can change your thinking, you can change your behavior. She remembers that “Dr. Lin, my therapist, explained how our thoughts, feelings, moods and behavior were interwoven, and taught me how to identify negative, self-defeating thoughts and replace them with positive, life-affirming thoughts.” Her doctor also worked with her on breathing techniques to help with anxiety and self talk to combat suicidal ideation. The book, "Feeling Good" by Dr. David Burns, was a highly recommended read, which was extremely helpful for her. I believe that the American culture today is an over medicated and or over-prescribed society. 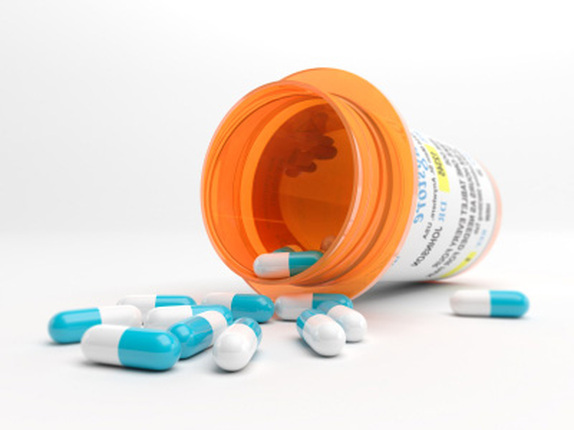 Often the medication is ineffective and then a different or additional medication is prescribed to restart the medicinal regimen. A cycle begins, and sometimes it never ends, with little to no thought on the chemical-to-chemical reactions of mixing medicines or the chemical-to-biological reactions that occur when our bodies want to reject their ingestion. Heap upon them the multitudes of Food and Drug Administration, FDA, tested and approved pharmaceuticals, the over-the-counter, OTC, medicines, supplements, etc., and we are a confused, self-medicated, and very depressed society. A big part of the challenge is the multi-billion dollar influence of the pharmaceutical companies on the treatment protocols of medical practices and hospitals around the country. The one area that we perhaps need more government oversight on with less political influence is the medical and pharmaceutical industries. In fact labeling them industries may be part of the problem. However, those are conversations for another day and a different Congressional Hearing. Gone seem to be the days when the Family Doctor treated the whole family. It seems as though today that physicians cannot or will not treat the whole person. With specialized fields of medicine, a more profitable business plan emerged, and the way we are cared for is so complicated that people often just give up on the process. Please don’t misunderstand me - I believe it is important to have well-educated and competent medical personnel with specific expertise in the field. However, I believe some people have given up on the hoop jumping ways that are the modern medical establishment. I think, as a result, there are millions of people in America that go undiagnosed with physical, mental and emotional disorders, and as a result they do not receive treatment. They seem to be living with a ‘What don’t kill me makes me stronger’ mentality. Some depression diagnoses respond to medication, but many do not. Is all hope lost when the medication doesn’t work? No, because fabulously there are alternative forms of treatment available. Some methods are pharmaceutical, and some are therapeutic through counseling both individually and in-group settings. I believe the important takeaway is not to allow yourself to go undiagnosed and especially do not go untreated. Ramprasad, Gayathri Aubrey, Allison (March 5, 2014) Depression, anxiety: What worked for me. Retrieved from http://www.cnn.com/2014/03/04/health/ramprasad-depression/ion.